This is a weekly series in which I attempt to combine my lifelong passion for sports trading cards with my semi-professional interest in celebrities Today, we continue working our way alphabetically through Major League Baseball. Leon Durham was born in Cincinnati, OH. He played Major League Baseball with the St. Louis Cardinals (two stints), Chicago Cubs, Atlanta Braves and Cincinnati Reds. 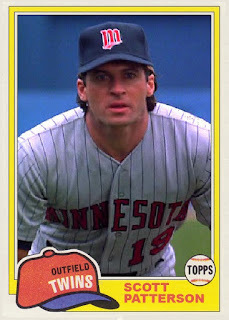 He played Leon Alexander, a member of the Minnesota Twins, in the movie Little Big League. That role earned him a Celebrity Jersey Card. Scott Patterson was born in Philadelphia, PA. He started out as a pro baseball player, but could did not reach the majors. Instead, he started an acting carer. 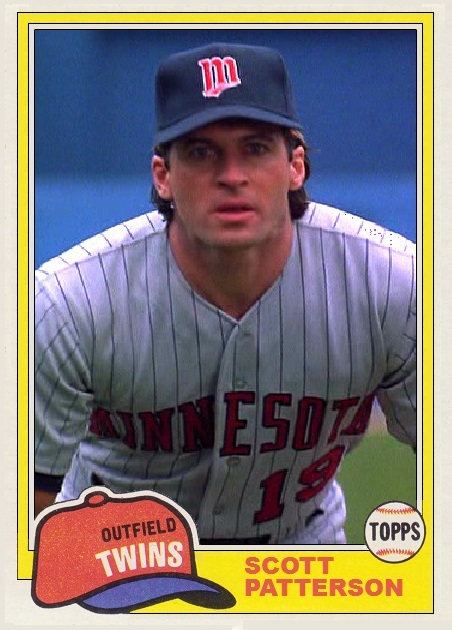 Among his roles was Billy (Elaine's "sponge-worthy" date) on Seinfeld and Mike McGrevey of the Minnesota Twins and a teammate of Durham's in Little Big League. While he never had an MLB trading card, he now has a Celebrity Jersey Card. I didn't know that about Scott Patterson. Not that I want to admit watching but he also had a big part on Gilmore Girls.